Todor is a co-Founder and Managing Partner at LAUNCHub Ventures. Todor is a Manager Partner at LAUNCHub, a leading seed stage venture capital firm in Bulgaria, investing predominantly in tech companies. 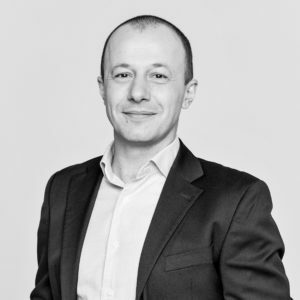 Todor has a substantial banking experience and his professional expertise lies within the areas of Business Management, Finance, Business Development, VC and entrepreneurship. Todor is a founder and Chairman of the Board of Bulgarian Real Estate Fund (BREF), one of the largest listed real estate funds in Bulgaria. Todor was a Managing Director of one of the largest brokerage and corporate finance boutiques in Bulgaria – First Financial Brokerage House (2001 – 2009) and also a Member of the Board of Directors of the Bulgarian Stock Exchange – Sofia (2003 – 2009). Todor was a Member of the Supervisory Board (2003 – 2011) and member of the Audit committee of First Investment Bank, the 3rd largest Bulgarian Bank. Todor holds a Master’s degree in Organizational Development and a Bachelor’s degree of Business Administration from St. Kliment Ohridski University in Sofia, Bulgaria. Todor also holds a brokerage certificate WMBA from London.